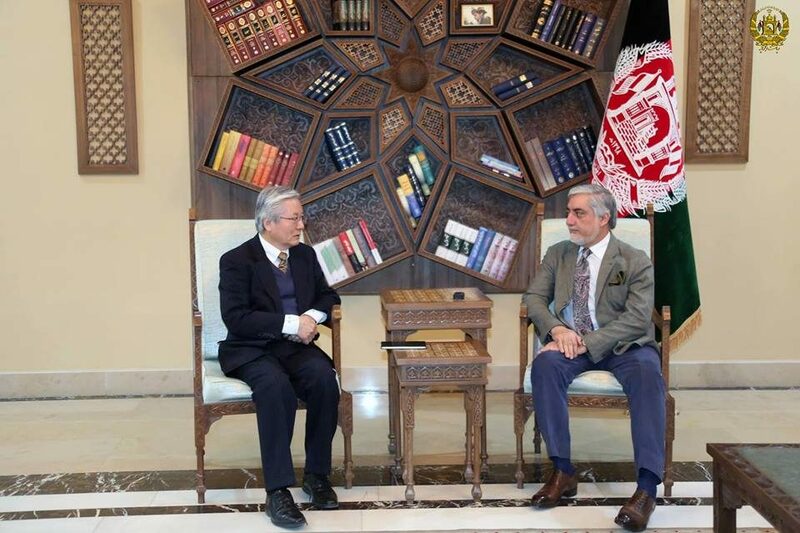 KABUL: Chief Executive Dr. Abdullah Abdullah met with United Nation Secretary General’s Special Envoy for Afghanistan and UNAMA head Tadamichi Yamamoto here in his office the other day, a statement from the CE press office said yesterday. During the meeting, the UNAMA head briefed Dr. Abdullah on his recent trip to New York and extension of the UNAMA mandate. The two sides also discussed elections, peace process and the political situation in the country, the statement added.